Chinese President Xi Jinping made headlines around the world when he moved to fill the leadership gap on trade and commerce that opened in the wake of Donald Trump’s election as President of the United States at the World Economic Forum in Davos on Tuesday. But Xi also spoke on climate change, and he’s far from alone. Here’s why events in the United States aren’t likely to derail progress on climate any time soon. There are many legitimate concerns surrounding the incoming Trump administration. The possibility of institutional denial of science and protectionism in America doesn’t bode well, for the American economy, for American businesses and more broadly for global trade. However, at the World Economic Forum in Davos this week, it is clear that this is not the one and only issue going on in the world. Global leaders will discuss a wide variety of topics ranging across artificial intelligence, cyber security, terrorism, climate change, sustainable development goals, new populism, the rise of Chinese soft power, and loss of biodiversity. 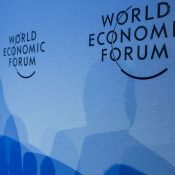 President-elect Donald Trump may be unavoidable in conversation along the Davos corridors, given it’s less than a week before his inauguration. But the presence of Chinese President Xi Jinping at the conference for the first time this year, is an even bigger talking point. In transition times, everyone gets to decide whether they are a future maker or a future taker. With regards to climate change, clean technology and the economy, it is becoming increasingly clear that China has decided to be a future maker. The question is whether America will continue to be a future maker or become a laggard, with all the negative consequences that come with that in terms of the economy and jobs. China plans to invest CNY 2.5 trillion ($360bn) in renewable energy through to 2020, an investment expected to create some 13m jobs by the end of the decade. Already from 2012 to 2015, China spent $340bn on clean energy – more than any other country. China has also committed to grow renewables to 20 percent of their energy mix within 15 years – an amount equivalent to the entire US energy sector. Meanwhile, China’s commitment to electric vehicles looks set to create global vehicle manufacturing leaders like BYD Auto Company and BAIC Automotive Group – whereas a potential roll-back of fuel efficiency standards in the US could dampen the impressive growth in Tesla and GM EV sales. The wrong US strategy on the transition to EVs risks a repeat of their failure to respond appropriately to the 1973 oil crisis – one of the main reasons so many efficient Japanese and European cars are on US roads today. The Paris Agreement reached the level of support needed for ratification in just ten months, making it the fastest international agreement in history. One of the additional successes of Paris was the creation of distributed leadership – the bold commitments of cities, states, regions, investors and businesses on climate change mean that the energy transition continues to accelerate. Within weeks of Trump’s election victory the 48 country members of the Climate Vulnerable Forum committed to 100% renewable energy, reflecting corporate ambition to do the same, as demonstrated by companies like General Motors and Walmart joining the RE100 initiative. Major countries too are already ratcheting up their ambition – for example, India’s Paris plan committed to generate 40 percent of its electricity from non-fossil fuel sources by 2030, but in December it upped that ambition to 57 percent by 2027. Further distributed leadership from business represents massive market signals to encourage investment in new product development. For example, well over 200 companies have now committed to science based targets, while all 90 of the C40 cities have announced they will commit to 1.5 degree goals. According to analysis by the We Mean Business coalition (WMB), implementing the Paris Agreement will unlock at least $13.5 trillion of economic activity globally. And leading companies are reaping the benefits of innovation driven by clear, bold climate targets – the revenues of businesses managing to decouple growth and emissions grew an average of 29%, over a five year period, while their emissions fell by 26% overall. Business thrives on policy clarity, with the majority consistently calling for ‘long, loud, legal’ signals from governments on climate and energy. This month, more than 530 companies and 100 investors called on the Trump administration and the new Congress to support policies to accelerate a low-carbon future that will help curb climate change. Their request that “the US maintains its climate leadership,” was given some hope by Secretary of State nominee Rex Tillerson in his nomination hearings where he stated “it’s important that the US maintain its seat at the table”. Of course we should be concerned about the risks of the largest economy in the world potentially rejecting science at a Federal level and withdrawing from international efforts to address global issues. But I don’t think we should be entirely negative. The rational voice of business is surely one Trump will heed. At the start of 2017, we have many reasons for optimism. The transition to the zero carbon economy has accelerated and is, if anything, more inevitable, given the momentum in renewable energy and electric vehicles. President Obama has written this month that “the trend toward clean energy is irreversible”, stating that twice as many Americans work in the clean energy sector than in electric power generation from fossil fuels. On top of this, between 2008 and 2015 the cost of electricity fell 41% for wind, 54% for rooftop solar photovoltaic (PV) installations, and 64% for utility-scale PV. These are economic drivers that cannot be ignored. Expect to hear much more from me and WMB on these issues over the coming year. Nigel Topping is the CEO of We Mean Business, a global coalition of organizations, businesses, and investors working to speed the transition to a low carbon economy.